1. 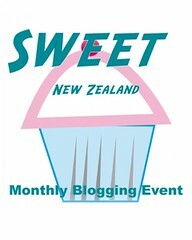 This event is open to all bloggers living in New Zealand (even if you are not a Kiwi), as well as all Kiwi bloggers living and blogging overseas. 2. You can enter anything sweet: cakes, biscuits, slices, desserts, even drinks or preserves, and you may submit as many entries as you like, including old posts if you like. 3. Your entry must contain the phrase Sweet New Zealand, the Sweet New Zealand badge (choose your own size), a link to the host, and to this post - so if you are submitting an older post remember to update it accordingly. 4. To make submitting your entry really, really easy I have included a linky tool at the end of this post. 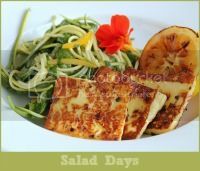 The linky will be open until 29 May and I will do a round-up of all entries on 31 May. To use the linky tool, simply scroll down to where it says "You are next ... Click here to enter", and then follow the instructions. If you prefer you can email your entry to me by 29 May, providing your name, your blog name and URL, your post URL, and a photo. Please email to yoga(dot)tapas(at)gmail(dot)com. And that's it - no more rules! Have fun and I look forward to seeing all your sweet entries. Ops… I don't know why my second entry came out double!!! Sorry!! Not sure I to remove the second linky image!